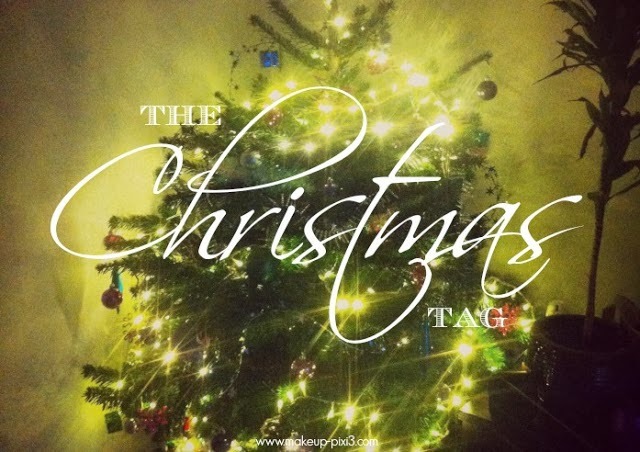 Hello lovelies, I love my tag posts and this is from the lovely Georgina. It's November now and Christmas is slowly creeping, so why not get festive and join in. Personally I love a real Christmas tree but they make so much mess and with a dog and toddler think we are sadly going to stick to a synthetic tree this year. Costa, would have to be black forest! It's amazing. Hot chocolate with raspberry sauce and blackberry sauce running through topped with squirty cream. I could literally sit and drink it all day its so yummy. I'm going to buy the syrups for them this year to make my own. I love golds and silver or I usually pick one color to go with silver. I may have silver and red this year. Who doesn't love receiving a present? I adore receiving but there's also something about giving someone a present it gives me that butterfly feeling in my tummy knowing I've made someone happy with a gift I chose for them. Sadly NO! I think there gross, when I was little I just couldn't bear telling my dad how much I disliked them so when he gave me one I would hide it behind the sofa and my mum would find them haha. Turkey! Lashings of gravy, mint sauce, piggies in blankets, lots of veg, mash, roasters, Yorkshire puddings served with a glass of bubbly. A pretty dress with some tights, we always dress 'dressed up' to Christmas dinner so I go all out on the make up and put on a pretty frock. Mariah Carey - All I want for Christmas is youuuuuuuuuuu, Great I'm singing it now and its far to early for that thanks Georgina. I'm always singing this in December and maybe even changing it to my ring tone, I know I know. With out a doubt Home Alone 2 all the way! Or the first, these films get me right into the Christmas spirit. The music and everything but I love Love Actually too there's lots of films I love to watch snuggled up on the sofa. The great thing about not living at home and having two families now is presents all day! Me Dan and Oscar and now Alfie will open our presents in the morning, go to his mums open presents then have dinner then go to my mums and open more presents! But me and my mum share the not so patient trate so sometimes we give each other our presents the day before to open with our own families (me Dan and Oscar). Don't forget to tag Georgina if your going to take part, why not its fun.